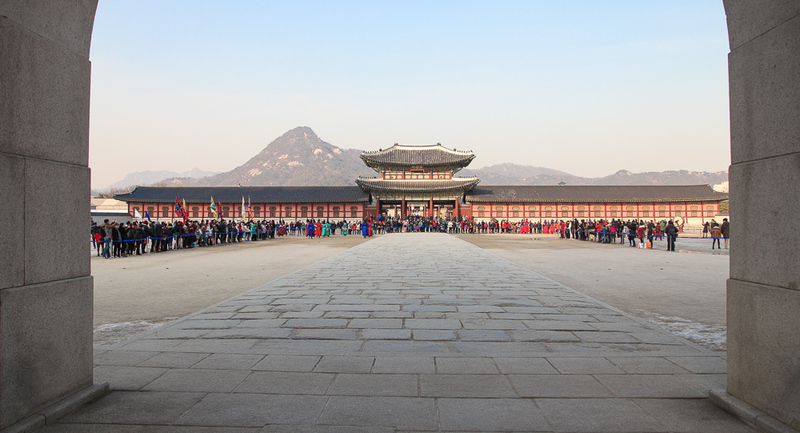 Gyeongbokgung Palace in front of the Bukhansan Mountain. Changing of the Guards Ceremony held daily for visitors. 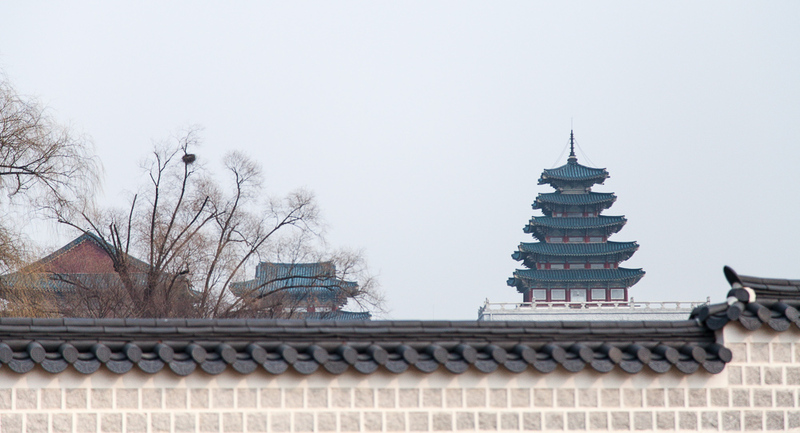 Rooftop of Geunjeongjeon, the Throne Hall where the king oversaw events and greeted officials. 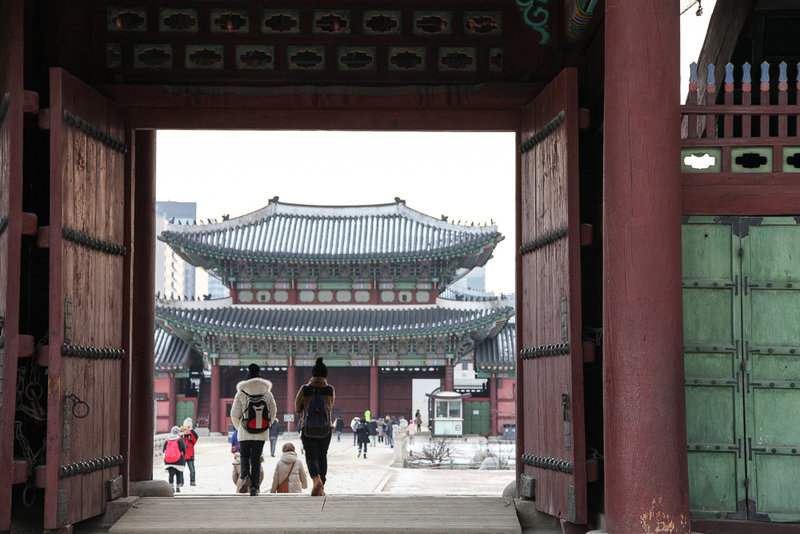 Doorway to Taewonjeon Shrine, which accommodates the portrait of King Taejo. 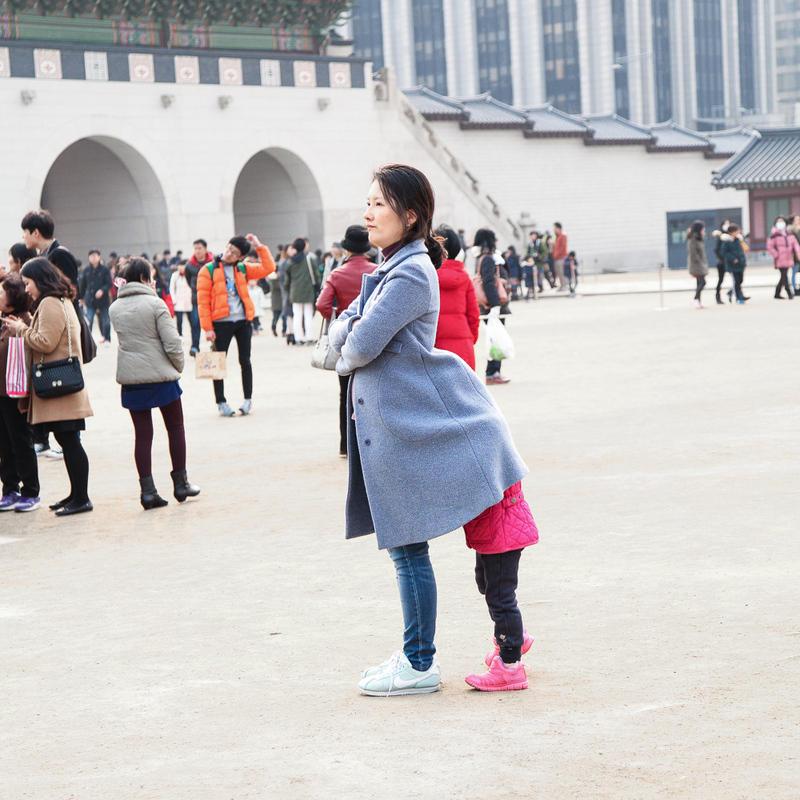 Child playing camel with her mother near the palace entrance. 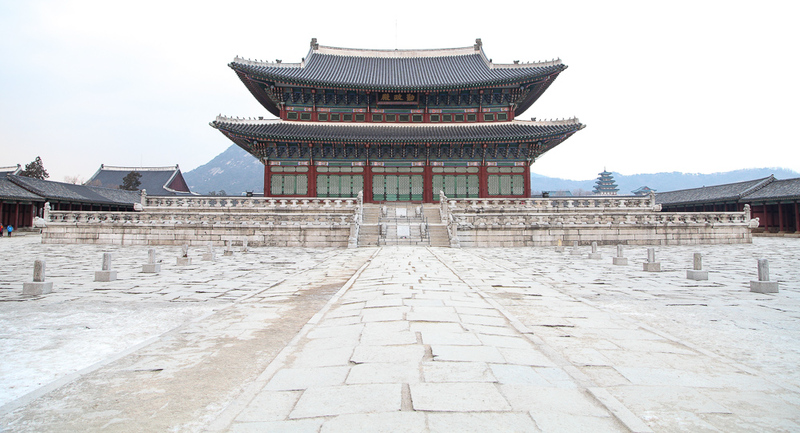 Full view of the Geunjeongjeon Throne Hall. On the west of the Throne Hall. A lonely shot of the Geunjeongjeon Throne Hall during its closing hour. 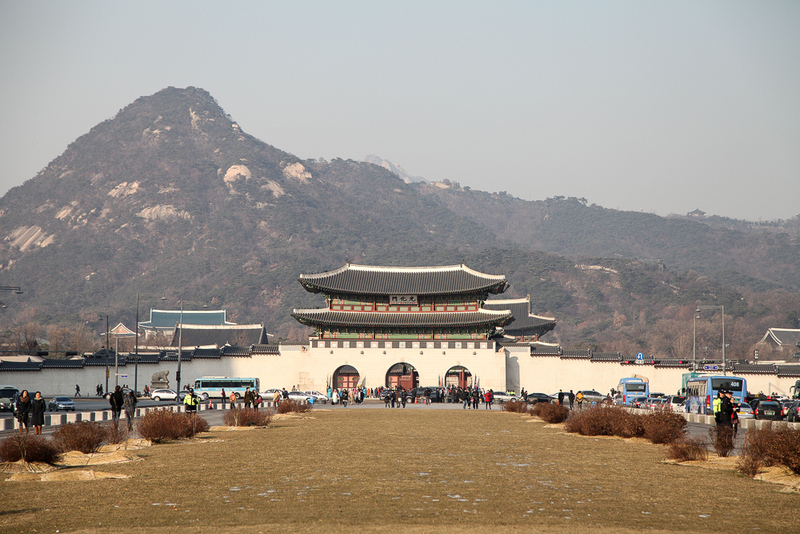 Looking towards Geunjeongmun, the third inner gate. 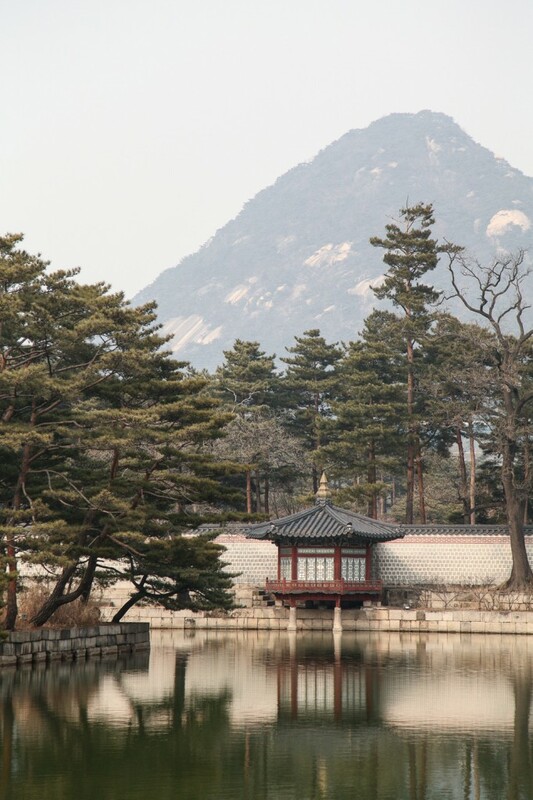 Pond of Gyeonghoeru Pavilion with Bukhansan Mountain. Frozen pond in front of the Gyeonghoeru Pavilion. 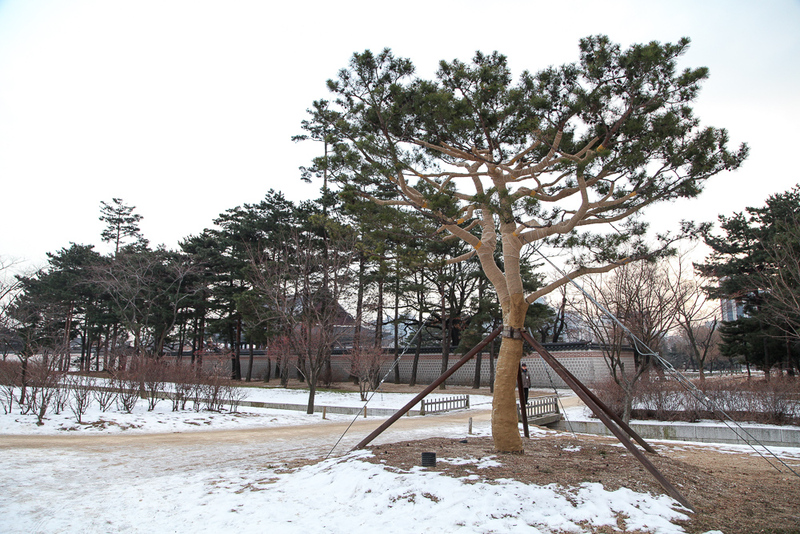 The Gyeonghoeru Pavilion towards the end of winter. Standing in the middle arch of Gwanghwamun where the king once walked, looking towards the first inner gate Heungnyemun. The National Folk Museum of Korea in the distance. It houses nearly 100,000 artifacts from the traditional Korean lifestyle. The National Folk Museum of Korea with the Hyangwonjeong Pond. The two-story Hyangwonjeong Pavilion sits on a man-made island. 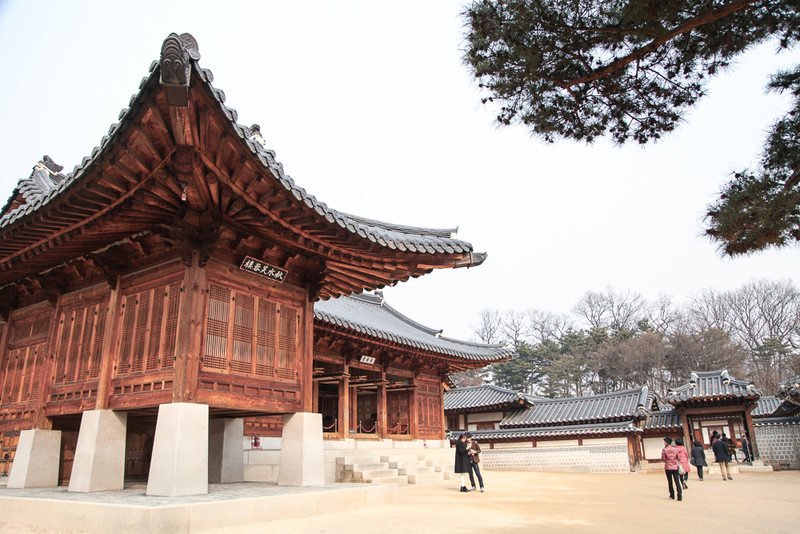 Jangandang, where King Gojong used to reside. Walking through the Geunjeong Gate towards Heungnyemun. The traditional and modern architecture mash-up. From the raised platform of the Throne Hall looking south, you'll see the tall buildings lined up next to Gwanghwamun Plaza. 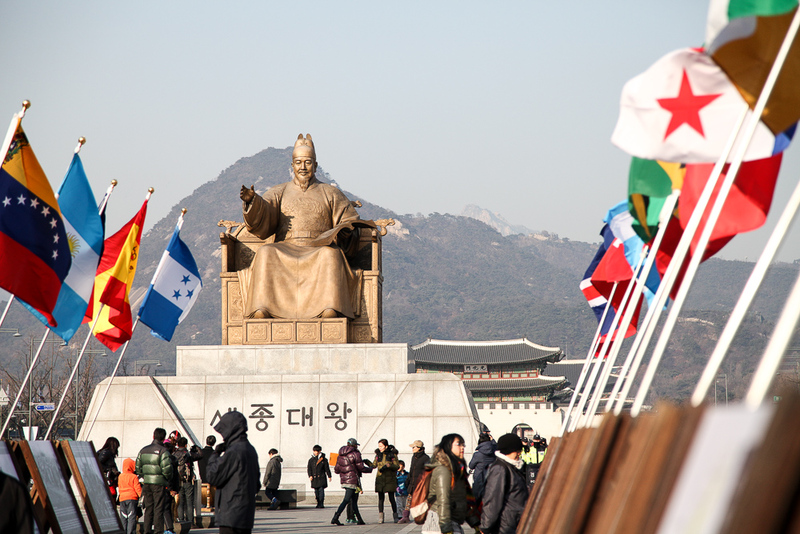 Statue of King Sejong, the fourth ruler of the Joseon Dynasty famed for his contribution in creating the Korean language. The very happy man acting as a royal guard. Feel free to stare at him all day. Just don't touch him. The lion-unicorn, known as "haitai," sits in front of Gyeongbokgung Palace to protect the city from natural disasters. The statue of the legendary Admiral Yi Sun-Sin, who never lost a naval battle in his life. In the Battle of Myeongnyang, his ships were outnumbered 13 to 133. Who won? Yi Sun-Sin. Two women walking and talking. Not the first time seeing people carry boxes on their head. Street food sold on a triangular island surrounded by roads. 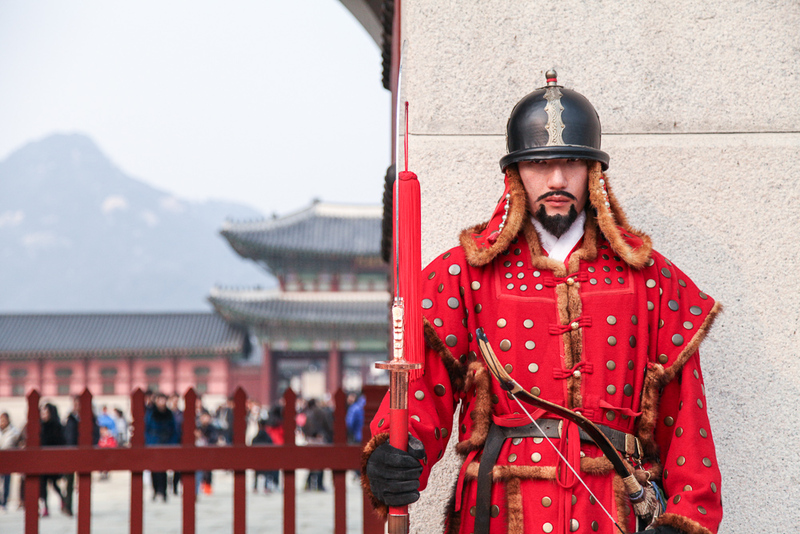 Target customers: pedestrians on the way or from Gyeongbokgung Palace. 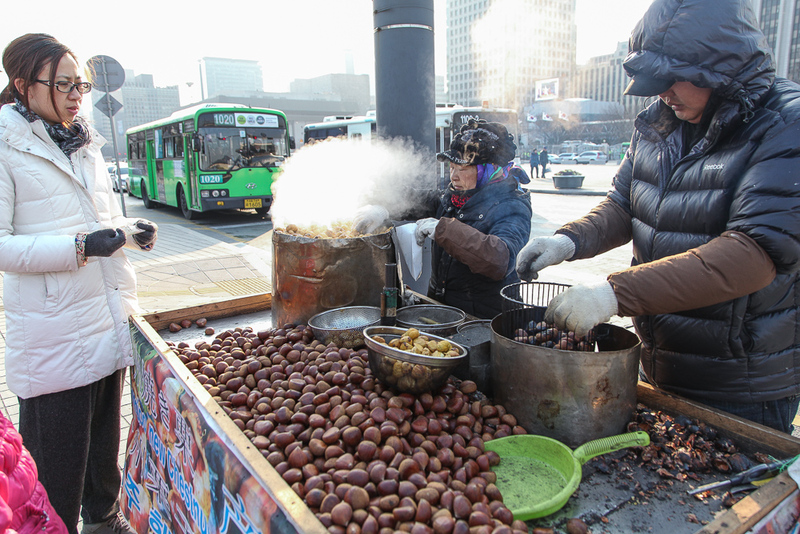 Chestnuts: one of the healthiest winter street foods. That and sweet potatoes. Bandaged tree with crutches. During winter trees are wrapped to prevent being frostbitten.